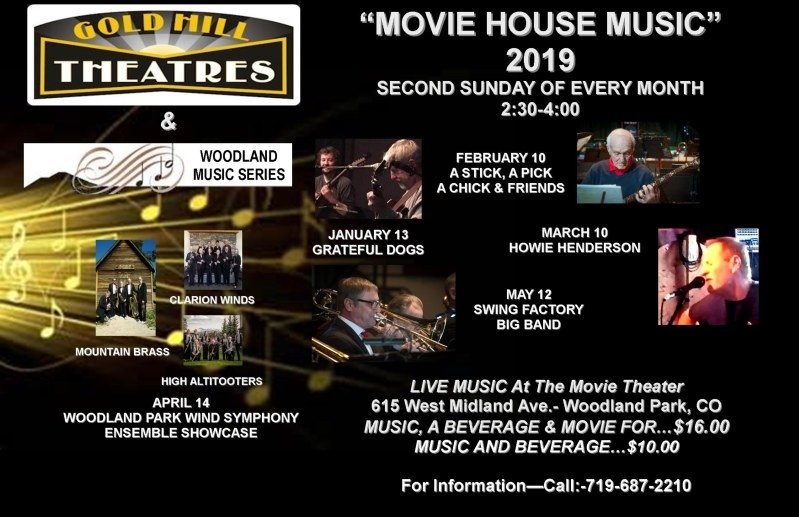 Calendar of Events - Greater Woodland Park Chamber. Chamber Business After Hours - 2nd Tuesday! Free Mulch at the Divide Slash Site, off Hybrook Road. A one day conference, specifically designed for women. We will have a time of worship, teaching on how to live victoriously with divorce, marriage and singleness. There will be an opportunity for interactive conversation, making new friends and experiencing fun and freedom. There will be an opportunity for ladies to have personal prayer as we talk about the importance of forgiveness and removing wounds and hurts that ladies may still be carrying. There will also be an opportunity to answer difficult questions that ladies may have. 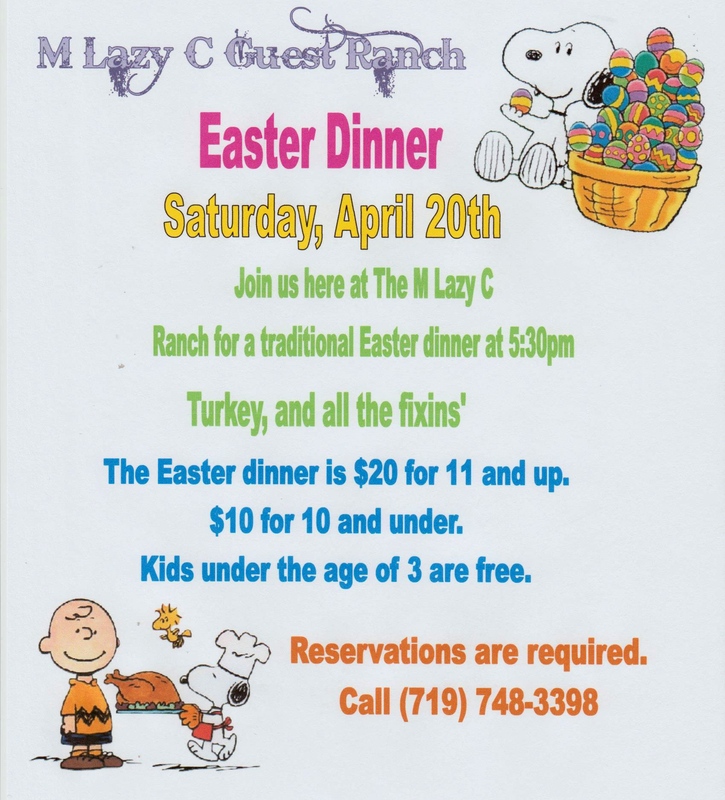 Easter Dinner at the M Lazy C Guest Ranch has lots of Easter insipired foods. A turkey dinner with all the fixins. Happy Saturday Woodland Park! Come out tonight for some real interactive entertainment. Tonight at the Woodland Country Lodge is Crazy Tony's Karaoke. It's your turn to sing for us. Stop in early for Happy Hour, 4-6pm, and get $1.00 off all beer, wine and well drinks. We hope to see you there! Celebrate Earth Day by going on a Bird Walk and searching for spring migrants! American Robins and Mountain Bluebirds arrived in March, lots of other species should be arriving in April. Soon the forest should be alive with song! Join Naturalist Craig on this slow-paced, 2-mile, moderate hike. Always hike with a map, water and weather protection! Come Sing With Us!! Rehearsals are every Monday from 6:30-8:30 pm at 1310 Evergreen Heights Dr., WP (Faith Lutheran Church). No auditions, no age limit, over 18 anyhow!! All you need is a love of singing and music! Select the right events to trigger the right message at the right time! Location based marketing to target your customers, supporters -- your audience! 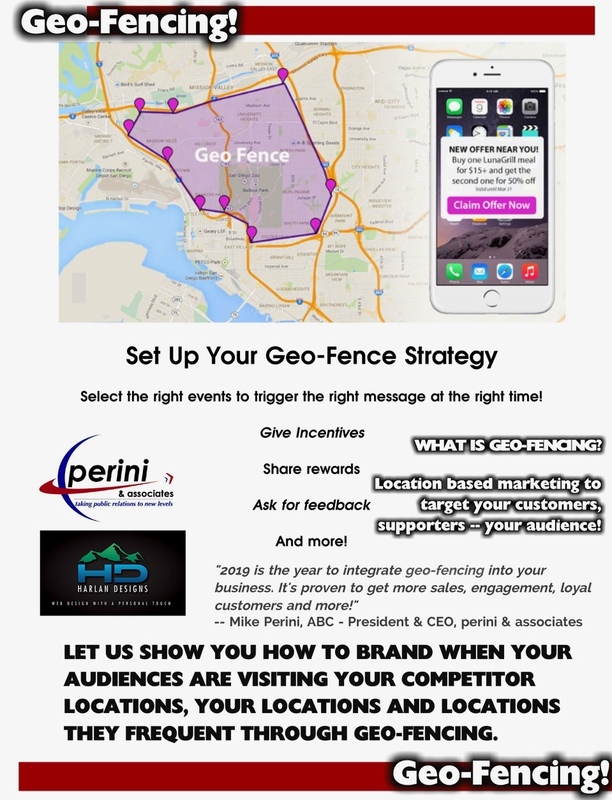 "2019 is the year to integrate geo-fencing into your business. It's proven to get more sales, engagement, loyal customers and more!" Mike Perini and Steve Harlan, both successful local business owners, share local case studies where geo-fencing is working for clients. LET US SHOW YOU HOW TO BRAND WHEN YOUR AUDIENCES ARE VISITING YOUR COMPETITOR LOCATIONS, YOUR LOCATIONS AND LOCATIONS THEY FREQUENT THROUGH GEO-FENCING. On a monthly basis, Teller County Assessor Colt Simmons breaks bread with Teller County folks to listen to county issues and concers. The Teller County Assessor's Office is teaming up with the Rampart Library District, led by Rampart Library Director Michelle Petrazzoulo, to hold three meetings focusing on the upcoming County Reevaluation Programs and to highlight the Rampart Library District. Location 18401 E. Highway 24 Suite 114. Join us at a Ribbon Cutting Ceremony celebrating the renovations and improvements recently completed at Unified Title Company, LLC. Happy Wednesday Woodland Park! Break up your work week with us at the Woodland Country Lodge. Tonight's local entertainer is Cari Dell who is sure to entertain you with her style of music. Happy Thursday Woodland Park! Tonight's local entertainer at the Woodland Country Lodge is Dalton LaFever. Come out and be entertained! Babysitter’s Boot Camp prepares youth with the training every parent wants in a babysitter. Designed for youth between the ages of 11-15, Babysitter’s Boot Camp gives babysitters the skills and confidence to safely and responsibly care for children and infants. Through hands-on activities, interactive video, and lively discussions, the course teaches young people how to care for children and infants, be good leaders and role models, make good decisions and solve problems, keep children and themselves safe, handle emergencies, and much more! Please pack a drink and snacks for breaks during class. Happy Friday Woodland Park! End your work week with us at the Woodland Country Lodge. Tonight's local entertainer is Archtop Eddy who is sure to entertain you with his style of music. There is so much to see and do at this hands-on children’s festival! Visit: the game area, bounce house, discovery zone, and activity booths. Come see what programs and services are available for early childhood in our community. On Stage: Dana’s Dance 11:00 am. Face Painting, Scavenger Hunt, Earth Day fun. Volunteer Trail Crew meeting, 11:00 – 12:00 pm At the Visitor Center. This meeting is for anyone interested in helping with the trail crew. Sign up here for these limited positions. 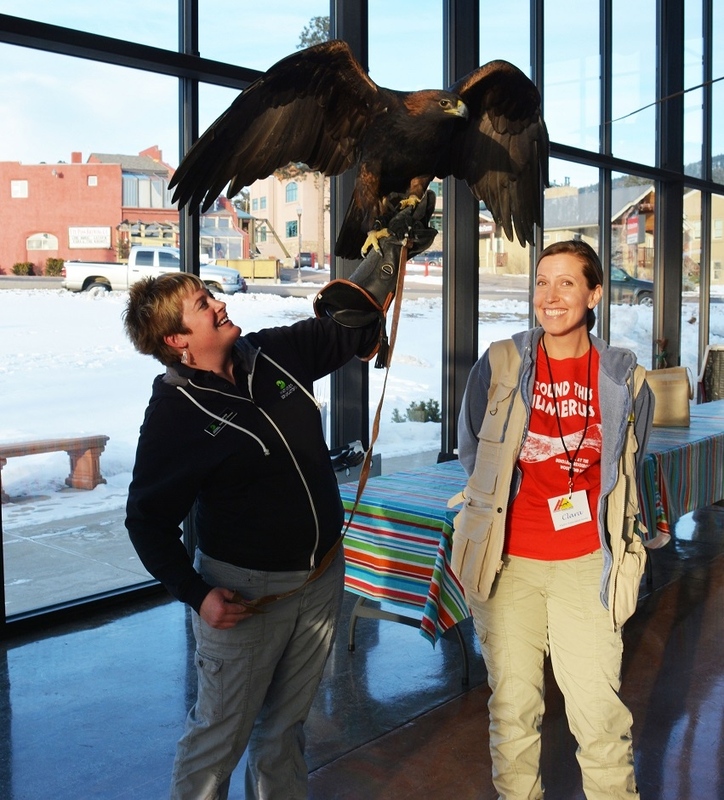 The DRC is proud to present Nature’s Educator’s and their live birds of prey show at 1:00 pm with a before and after questions and answer period and a meet and greet period. Learn what raptors and dinosaurs have in common and learn the personal stories of these marvelous birds. Drop into the back country, down into a valley and see Lost Pond and Geer Pond, then back up to Outlook Ridge with Volunteer Naturalist Rose. A 3-mile moderate hike. Dress in layers and bring water. Micro spikes, poles or snowshoes may be helpful, depending on conditions. Outdoor Skills Day - Save the Date! Don’t miss the annual Outdoor Skills Day at Mueller! Activities for the whole family! Learn more about your favorite outdoor activity or try out a new hobby! All activities are free – vehicle park pass is required. Begin your martial arts journey with a single kick! Build confidence, gain self-control, be more focused, learn self-defense and have a ton of fun, all in an environment of courtesy and respect. Happy Wednesday Woodland Park! Break up your work week with us at the Woodland Country Lodge. Tonight's local entertainer is Oakley who is sure to entertain you with his style of music. Stop in early for Happy Hour, 3-5pm, and get $1.00 off all beer, wine and well drinks. We hope to see you there! Cardio & Pilates - Tone every inch of your body with this workout! We will begin with 30 minutes of calorie burning, high energy cardio and finish with 30 minutes of core-strengthening Pilates. This is a really fun and highly effective workout! Please bring a yoga mat. Woodland Park Wind Symphony is a member of the Woodland Park Chamber of Commerce. 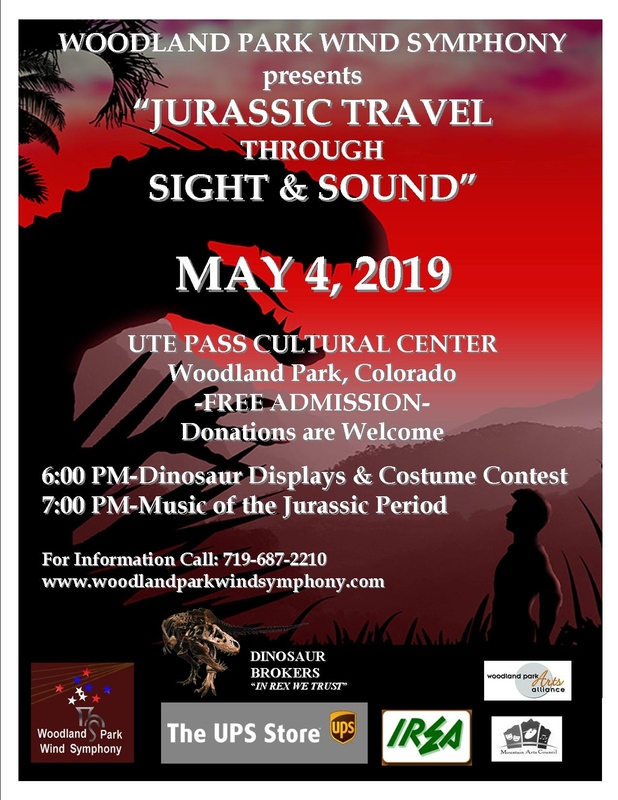 The Woodland Park Wind Symphony presents music from the popular Jurassic Park/World movies, as well as additional Jurassic-era themed music. 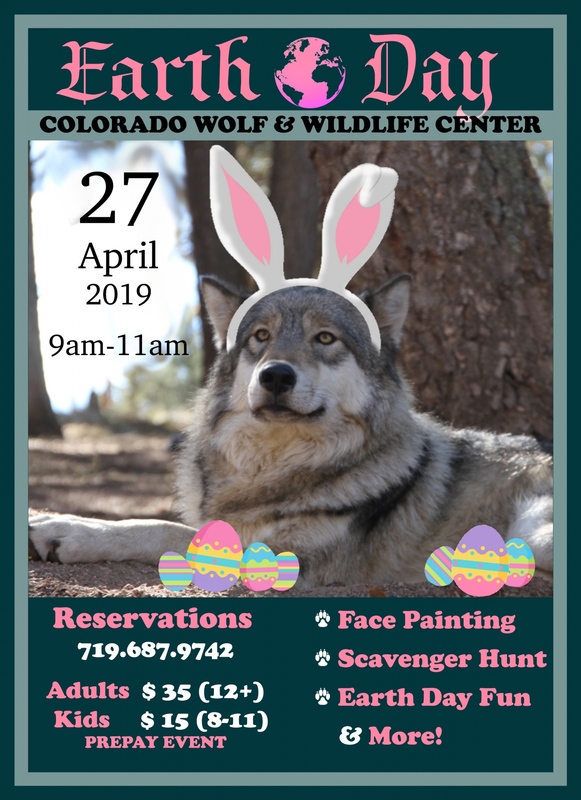 Featuring a life-size T-Rex from the Dinosaur Brokers and hands-on activity with the Florissant Fossil Beds, in addition to a dinosaur-theme costume contest, activities begin at 6 pm with refreshments and cash bar. The thrilling musical themes will be enhanced by video to provide an exciting evening of entertainment for the entire family. Improve muscle tone, increase core and muscular strength and enhance flexibility in this one hour total body workout. All fitness levels are welcome! flow, connecting movement with our breath in a series of fluid poses. Adults and Youth with an Adult. 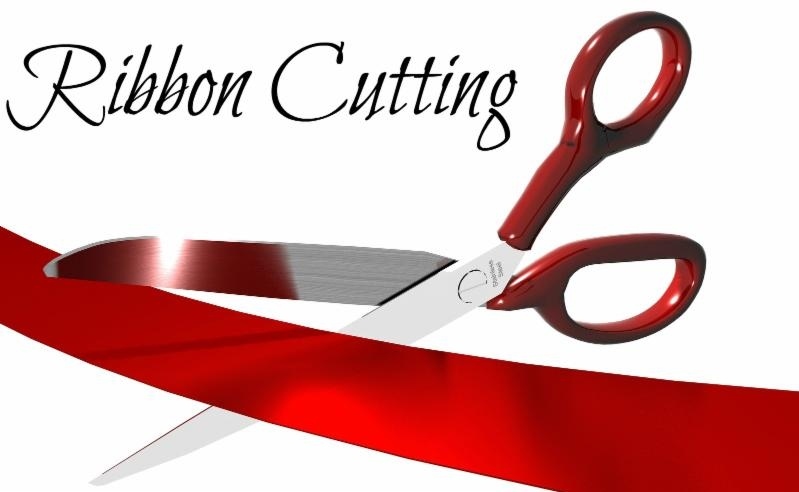 Join us at a Ribbon Cutting Ceremony celebrating the Open House of one of the Chamber's newest members, Aspen Interiors LLC, specializing in kitchen and bath remodeling. Join veteran hiker and author Peter KJ (Jarvis) for an overview on how and where to begin hiking the Front Range. Pete will present geography, flora, and fauna, and discuss simple clothing, equipment, and safety considerations. He will also speak on hiking strategies such as pacing, timing, and seasons, and will share favorite trail choices for summer. Bring your curiosity, and get ready to write your own stories by going out and hiking these dazzling trails! Join us at a Ribbon Cutting Ceremony celebrating new Chamber member Victory Service Dogs. The Start Smart Development Program is a proven instructional program that prepares young children, between the ages of 3-5 years old, for the world of organized sports without the threat of competition or the fear of getting hurt. Parents work together with their children in a supportive environment to learn all of the basic skills. The benefits include building confidence and self-esteem, fun and positive experience, prepares for future sports, quality time together for parent and child, and helps parents learn how to support and teach their child in the world of sports. Warm weather is on its way! Yes, even in the midst of our big spring snows, we must remember that soon we will enjoy potting soil, flowers, and summer weather once again. 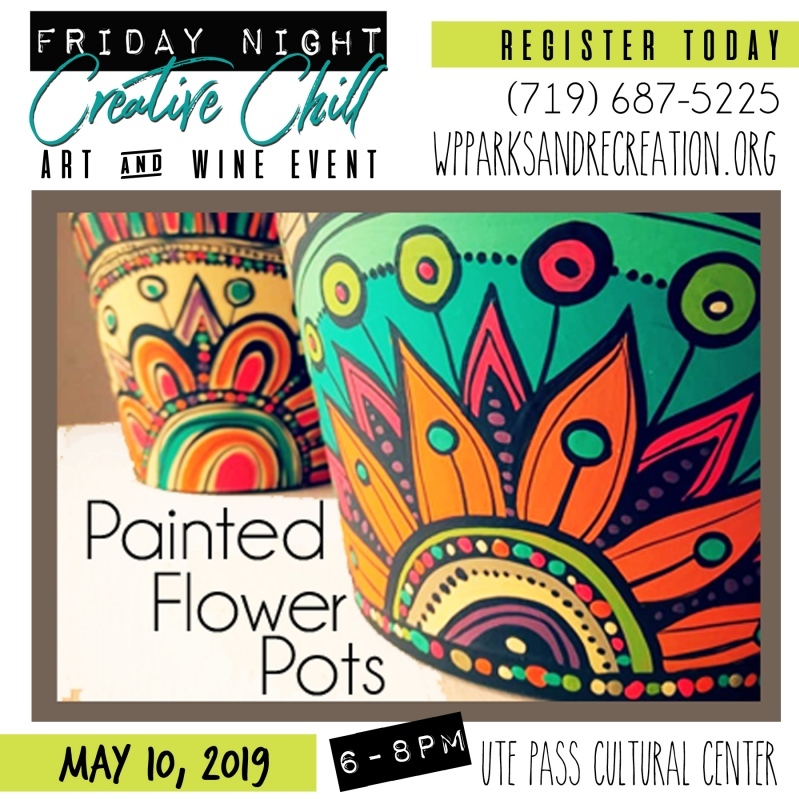 What better way to prepare our minds, hearts, and patios than with an art project of embellishing sturdy terra cotta flower pots that will hold our favorite blossoms? Join us as we celebrate seasonal painting and good natured spring fever with a generous dose of high-altitude, artistic camaraderie. Join us at a Ribbon Cutting Ceremony celebrating the Grand Opening of the new Woodland Park Living, a direct mail magazine to residents in Woodland Park. Celebrate Armed Forces Day with the Rampart Library District as we honor all those who have served.